Just in case there is some of you that do not have this addition added to your drill-press, I suggest that you spend a couple of hours in the shop brewing up this most handy of accessories for your drill-press. 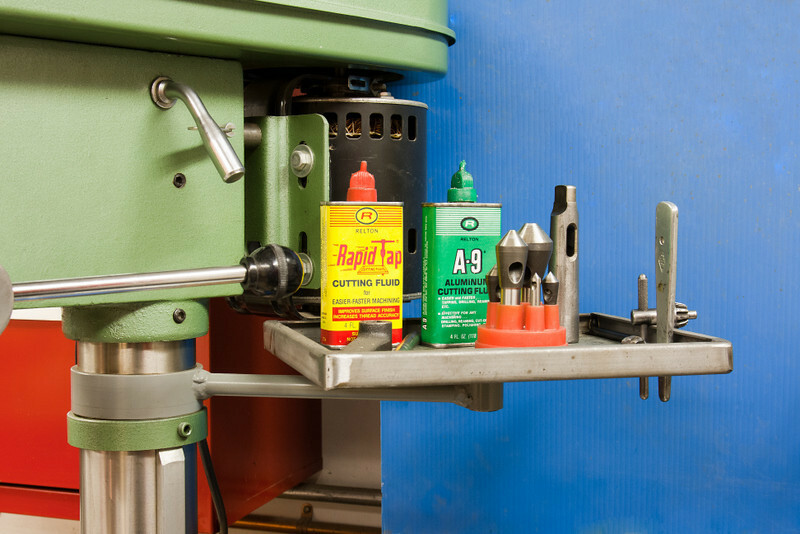 Once in place, you will wonder how you did without this drill-press tray. I initially built the tray without sides, and in short order added the rim to keep the various drill-bits and what not from falling on the floor. If I was to build my drill-press tray over again, I would make the arm a little longer, to position the tray further out from the drill-press. Still, I am more than happy with my drill-press tray, after using it for a number of years. PS....Today you can purchase a similar tray at your favorite tool outlet like Harbor Freight.